Although most athletes would prefer their food take the form of a cheesy pizza or breakfast burrito, there are times—like in the middle of a race or intense workout—when fuel needs to be portable and easy. Sure, sucking energy goop out of tiny packets can make you feel like a GoGurt-eating toddler or the world’s sweatiest astronaut, but until sports technology develops some kind of banana-containment jersey, commercial gels like Clif Shots and GU are probably your best bet for fast, convenient calories. But considering their relatively simple nutritional content, most energy products are ridiculously expensive. So why not make your own? 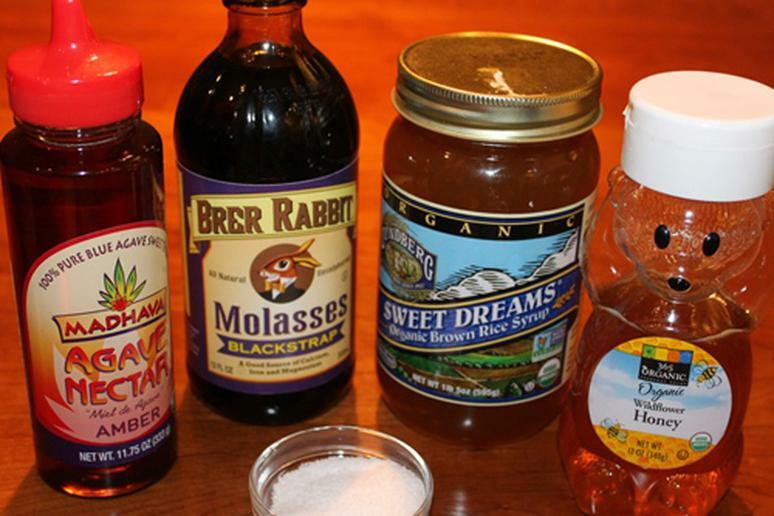 We asked Kent Johnston, a bike racer and cycling coach from Portland, Ore., for the secret recipe to his DIY gel, and were surprised at how simple it is to mix up at home. Johnston has been making his own energy since 2003, when he realized he could save money and improve the formula of maltodextrin-based gels like GU and Power Gel, which bothered his kidneys. As a coach bringing new kids into the sport, he also wanted a source of fuel that didn’t pump his racers full of sugar. Johnston’s recipe instead uses brown rice syrup (available in the organic section of most grocery stores), because he considers it a cleaner fuel, and it doesn’t harden or spoil. He heats it up with a little bit of water and sea salt for electrolytes—but says be careful not to boil. Two tablespoons equal 200 calories. It’s that simple. The taste is pretty grainy and plain, but Johnston says he only cares about fuel when he’s racing, not flavor. For those of us who want something a little more palatable, though—perhaps something that reminds us of our sweet, GU-guzzling days of yore—here’s a homemade gel recipe that uses low-glycemic sweeteners to add mild flavor. We used both honey and agave, but feel free to pick one or the other and experiment with your own portable power cuisine. Stir over low heat until the salt is dissolved (2-3 min. ), let cool, and enjoy. Recipe yields approximately five 200-calorie servings. We packed ours in a handy travel squeeze bottle and stored the excess in the fridge for my next bike race, long run or unsuspecting potluck. Joseph Gordon-Levitt: Craziest Biker Ever?